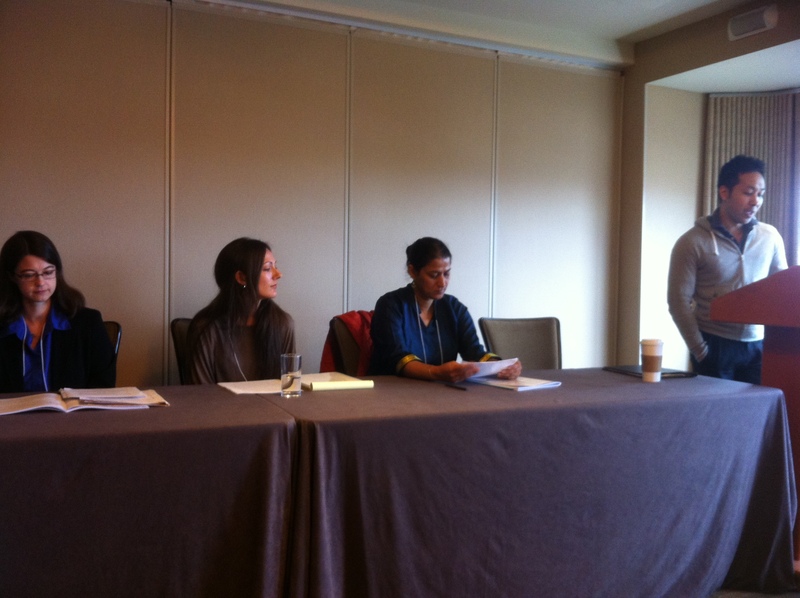 CAALS had well-attended panels, a roundtable, and an author reading at ALA 2013 (Boston). 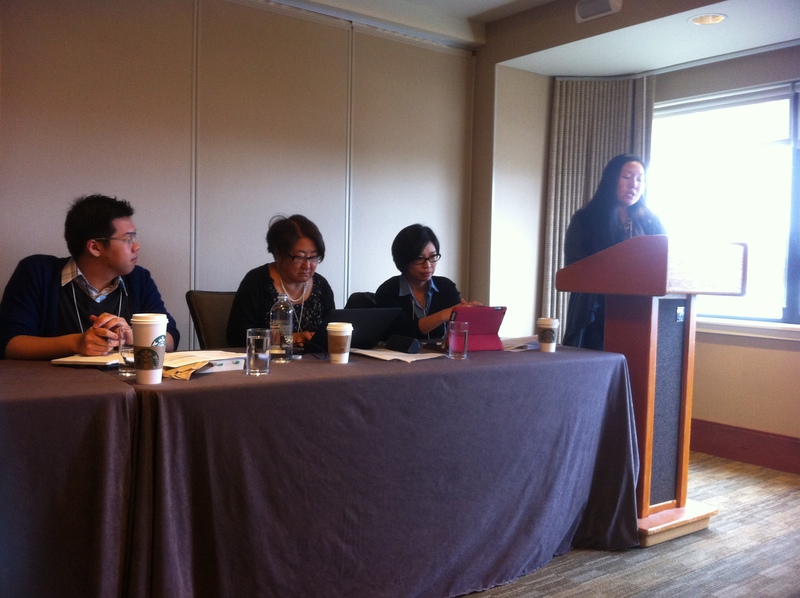 Below are some photos from the highly successful Geographies of Asian America double panel. Thanks to everyone for participating! Left to right: Chris Eng, Lynne Horiuchi, Jeehyun Lim (chair), Lynn Itagaki. Not pictured: Belinda Kong. Geographies of Asian America II. 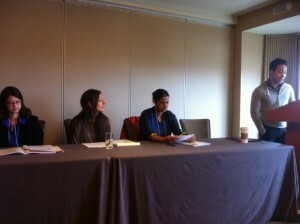 Left to right: Susan Thananopavarn, Alaina Kaus, Rajender Kaur, Trevor Lee (chair). Not pictured: Ruth Lahti.